The spate of suicides by debt-trapped farmers in Vidarbha (Maharashtra) is a grim reality. 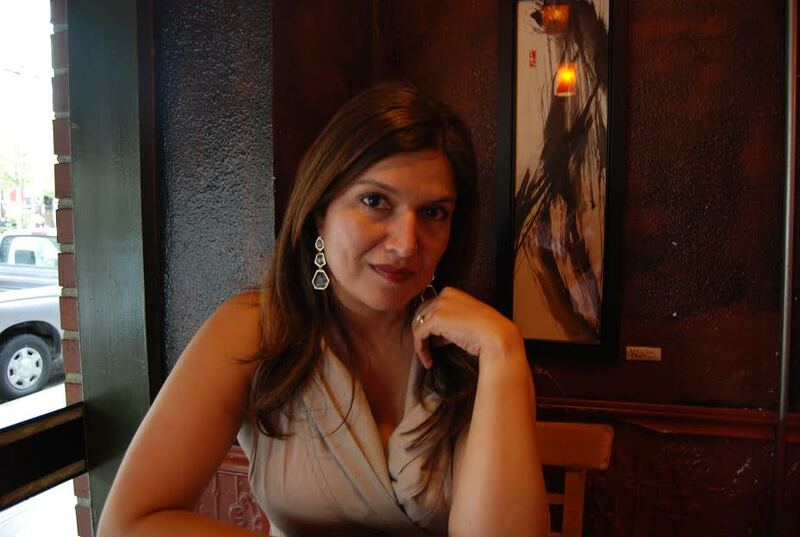 Sonora Jha, professor of journalism and the chair of the Department of Communication at Seattle University, however, harvests it for fiction. 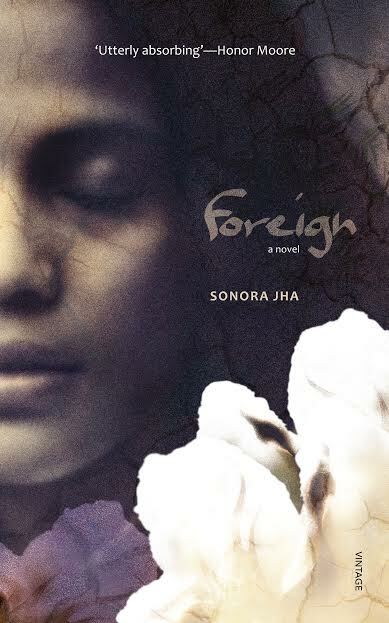 Jha mingles her passion for fiction and compassion for Vidarbha farmers in her debut novel,Foreign, published by Random House India. A novel that dwells on the mirth and misery of love and death, Foreign, at its core, is also about home and homelessness, hope and hopelessness, foreignness and familiarity, beginnings and ends. It tells the story of the desperation and gradual devastation of a farmer couple, Bajirao and Gayatribai, who are swamped with love, but steeped in debt — debt that does them part. Jha, who worked as a journalist in Mumbai and Bangalore before moving first to Singapore and then to the US for her Ph.D in political communication, says some of the stories she covered as a journalist stayed at the back of her mind. Even as she published papers in various journals on “intersections of press, politics, and the Internet”, she kept wondering why the “biggest story of our time” was not given its due “urgency”. Influenced by the writings of P. Sainath, Dionne Bunsha and Jaideep Hardikar, she got involved with the farmers’ crisis on her many journeys to Pandharkawada in Maharashtra’s Yavatmal district. The suicides of farmers kept “eating away” at her, keeping her sleepless in Seattle, till she found a way to release it, as it were, through Foreign. Jha chose fiction as she wanted to tell this story in the format it was narrated to her by real-life farmers. “Their story had so much beauty, I wanted to bring it to the larger audience,” says Jha, who had to wade through multiple drafts in a bid to take “her ego as a researcher” out of the story. She had to leave aside the statistics and follow the “hearts” of her characters. She had to focus on their soul to bring to the wider world what someone like Bajirao, a cotton farmer caught in the deadly cycle of debt, would have wanted the world to know. “Not everyone who can help is helping. Not everyone who can make a difference is making a difference,” Jhasays. Her novel, she says, doesn’t “exoticise” India, but talks about the country in terms of real human beings with real problems. But that doesn’t mean Foreign has anything to do with a “poverty tour”, designed to give to the West what they tend to lap up. “I am interested in human beings,” says Jha, adding she could talk for hours about the “love life” of her girlfriends when they meet. The arc of her interest also includes Bollywood, heartbreaks, Mirza Ghalib and Sahir Ludhianvi. 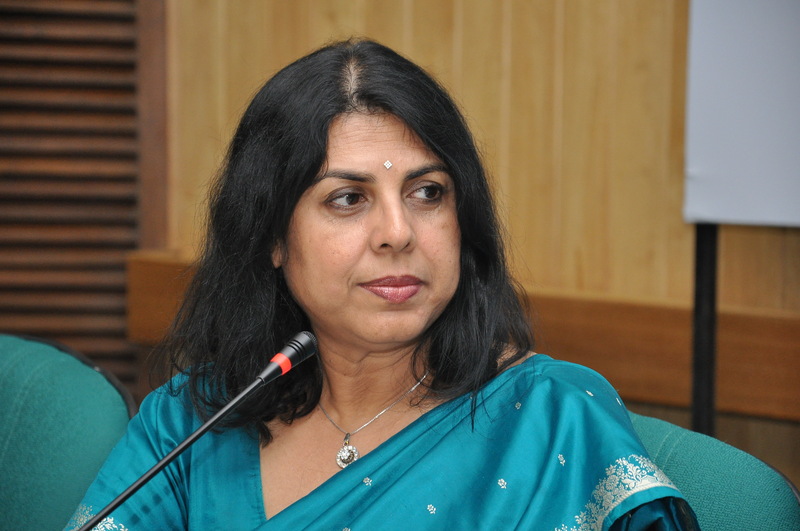 She has named her son, Sahir, after the poet and lyricist and dedicated the book to him: Kabir is modelled on Sahir, her son, who recently gave a miss to his high-school prom to attend the national convention of social activists. Foreign, says Jha, is an outcome of her engagement with the people of India, a product of the stories of “love, heartbreaks and sacrifices”. Jha is hopeful that India wakes up to the sacrifices of farmers. “There is enough food in India. There is enough money in India. We don’t need anyone’s help,” she argues. There are people in India like Ammar, an activist in the novel who is so committed to the cause that he ends up doing a disservice to his own woman and child, Katya and Kabir. Jha says this is among the many basic things that can go wrong. “Even when you have the right policies, it somehow can’t translate into humanity,” says Jha. Among her many other feats in Foreign, it’s the “humanity” of the novel that Jha gets right. 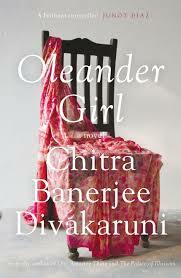 Chitra Banerjee Divakaruni’s latest novel, Oleander Girl, is a story of self-discovery and loss. Set in 2002, the story begins in Kolkata at Tarak Prasad Roy Mansion, where Korobi and Rajat are going to get engaged. Bimal Prasad Roy, Korobi’s grandfather, is a strict man of exalting principles. Korobi Roy, the protagonist of this story, lost her parents before her birth and was brought up by her maternal grandparents. Rajat comes from a nouveau riche family. Before the big dinner party begins on the evening of their engagement day, there is terrible news of Korobi’s grandfather suffering cardiac attack. As the story moves, Korobi discovers a very crucial secret about her life and decides to go to America on a personal search. It promises to be a life-changing journey and Korobi is all set to make it. Divakaruni is an amazing storyteller who leaves her readers in throes of surprises at unexpected turns. At 288 odd pages, the narrative is tight, gripping and full of suspense. An exploration into human emotions, psyche, stigmas and changing social dogmas, the story also deals with life in America post-9/11. Like 9/11, there was another tragedy to unfold far away in India that would scar people cutting across social strata: The Gujarat riots. It is a testimony to Divakaruni’s craft that even minor characters that could have been reduced to being sideshows in the larger scheme of the narrative, resonate with a life of their own. The author delves into the relationship between man and woman, between masters and servants across generations. She tries to bring out the clash between the old and the new traditions, capture the pace of the fast-changing Indian society, get a peek into some family secrets and divulge the meaning of love. A page-turner in rich language, Oleander Girl is a sublimely simple and profound novel. Q: Oleander Girl, like all coming-of-age stories, is about discovery at many levels. What was its genesis? A: The book was inspired by my last few visits to India, where I became increasingly aware of the clash between old and new values as India rushes ever faster to take its rightful place in the global economy of the 21st century. Q: Does the story of Korobi and her family secrets have any personal parallels? How crucial are the settings of the novels to her story? I grew up in Kolkata in a traditional family. We had friends who lived in a mansion just like the one in Oleander Girl. Growing up, I was fascinated by the old house and the Old Bengal lifestyle there. And I’m equally fascinated by the current youth culture (discos etc.) that I portray in the book, as well. The latter half of the book travels across America. I’ve lived in some of those places. I’ve stood in front of the emptiness in New York where the Twin Towers used to be, just as Korobi does. All these settings affect Korobi, making her who she is, and changing her as the novel progresses. Q: You invest so much in your characters’ psyche. Is that something that interests you? A: Yes, to me character is at the heart of great literature. I learned that early from Tagore and Sharat Chandra, and continue to notice it in writers I admire, such as Anita Desai, Toni Morrison and Chinua Achebe. I work very hard at creating complex characters, a mix of positives and negatives. Mrs. Bose, Korobi’s mother-in-law to be, is one example. She’s a difficult woman, but my hope is that when readers learn of her background and what she’s been through, they will find empathy in their hearts for her. Q: Two significant backdrops are 9/11 and the Gujarat riots. Did you want to explore the impact of these two incidents on people? As a writer, how did these two events affect you? A: I feel these two incidents, occurring so close in time to each other, were both, in their own way, tragic examples of religious violence. I had friends who died in the 9/11 tragedy; some of my friends lost family members in the aftermath of Godhra. But beyond my personal life, as a writer I’m very concerned with a growing tendency in the world of using violence to deal with people who are different from us, be it racially or religion-wise. I want readers of Oleander Girl to think about the costs of such intolerance. I also hope the book provides some answers. Q: How interested are you in your characters’ flaws? Do you think they make your characters seem more close to the real and lived experiences? A: Yes, being a flawed person myself, I relate well to flawed characters! I believe flaws are almost universal and they help us understand, sympathize and — paradoxically — feel closer to such characters. Q: It’s quite a potpourri of themes — roots, race, caste, class — that you delve into. How challenging was it to weave all this into the narrative? A: It was difficult. I wanted to do it with a light touch. The last thing I want is for my books to be preachy. I wanted the themes to emerge naturally through the lives of the characters, and that took several revisions. Q: A significant blend is that of the First Person and the Third Person narratives in the novel. Was it important to give Korobi the voice to tell her own story in the first half? Why was the Third Person narrative required in the second half? A: I wanted to use both perspectives because I wanted the contrast between a young woman who sees the world from her own intelligent, courageous but naive viewpoint, and a more knowledgeable authorial viewpoint (though it stays very close to some of the other characters, such as Korobi’s fiancé Rajat, and his family chauffeur Asif). I love using different viewpoints to create irony, since two people can often have totally different ways of seeing the same situation. Q: It’s beautiful the way the bipolar worlds — traditional and modern, East and West– meet in you novels. Do you have to work hard on this aspect of your novels? 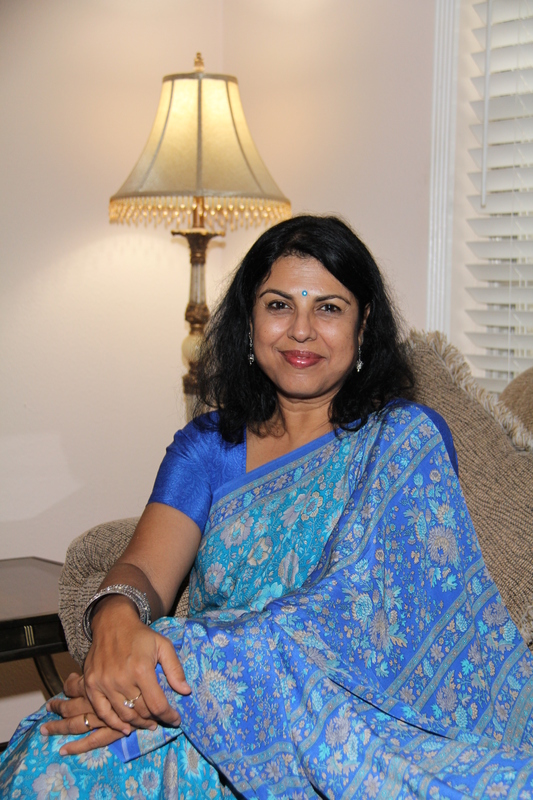 A: I do work at it, but also contradictions and juxtapositions come naturally to me — as an Indian living in the USA, as a writer married to an engineer, and as an activist in the field of domestic violence who regularly comes across terrible tales of abuse by males but whose three favorite people in the world are men (my husband and two boys). Q: The ending of Oleander Girl provides a point of convergence for the diverse plotlines. Did you think of any other ending? Could there have been any better ending? A: Other endings are always possible. That’s part of the magic of the novel — it makes readers imagine these endings. This one seemed appropriate for Oleander Girl, given the way the characters developed, and given the final choice that Korobi feels is the right one for her. Q: Your next novel is a retelling of Ramayana from Sita’s point of view. Could you share something about it? A: I am very excited about starting this project. A little worried, too, since the Ramayana is such a sacred text and I want to treat it with respect while exploring the character of Sita as I understand her. I think Sita was far stronger and more courageous than she is often credited as being. I would like to bring that out in my novel. I want to showcase Sita as a timeless woman, with thoughts, feelings and values as relevant to our times as to hers — just as I did with Panchaali in The Palace of Illusions.